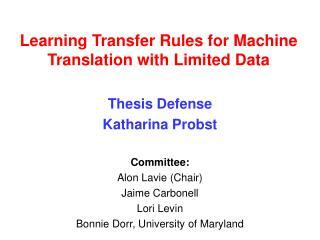 Fleeing the Machine!. 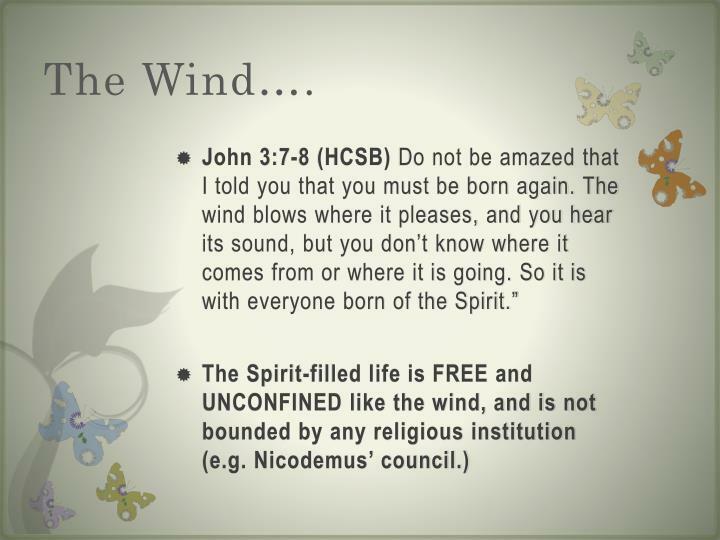 Why we need to live the Spirit-Filled Life. A Lifestyle…. The Spirit-Filled Life is not just a set of doctrines or church practices, it is a complete lifestyle based on the realities of the Kingdom of God! The Spirit-Filled Life is not just a set of doctrines or church practices, it is a complete lifestyle based on the realities of the Kingdom of God! 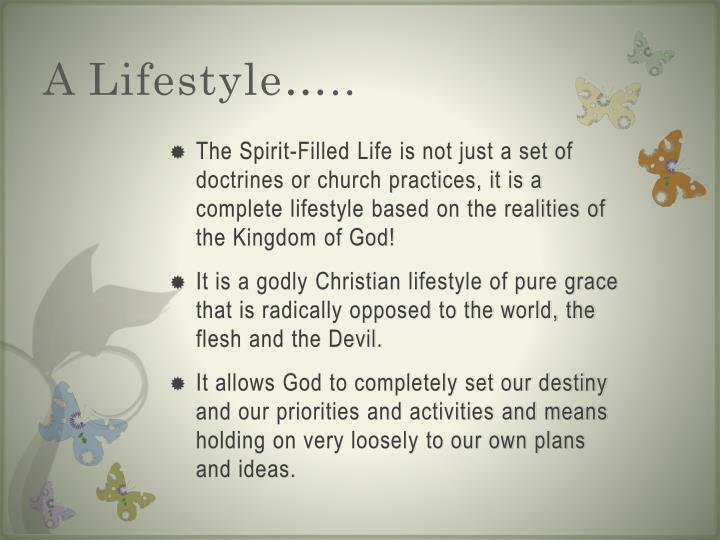 It is a godly Christian lifestyle of pure grace that is radically opposed to the world, the flesh and the Devil. It allows God to completely set our destiny and our priorities and activities and means holding on very loosely to our own plans and ideas. 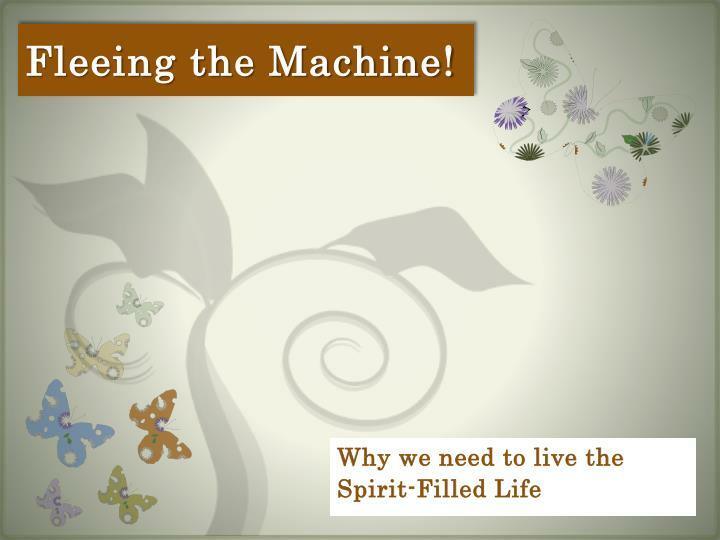 “The Machine” is the manipulative structure that you create in order to do all the things on the Magic List so you can “be happy”. 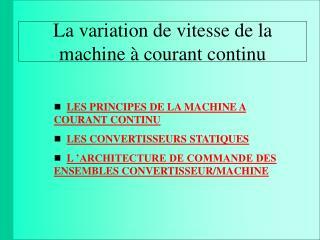 The Machine organizes people, money, resources and your life around the Magic List and makes you feel comfortable and in control. 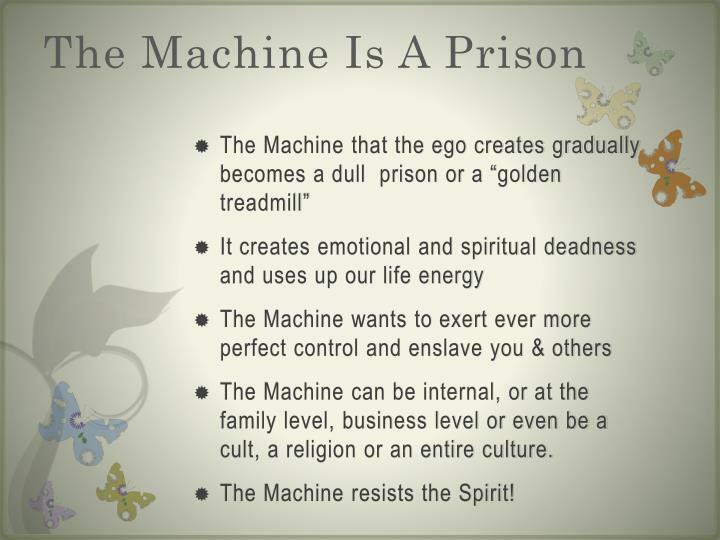 Your ego drives the machine. 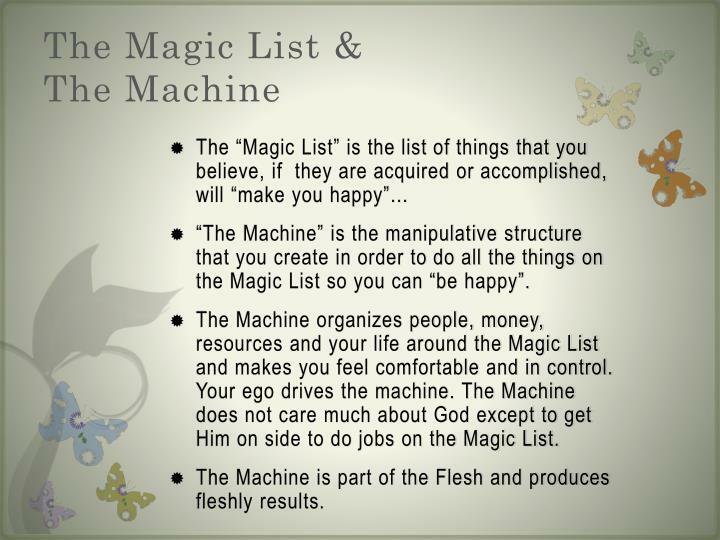 The Machine does not care much about God except to get Him on side to do jobs on the Magic List. 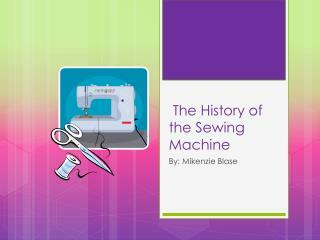 The Machine is part of the Flesh and produces fleshly results. 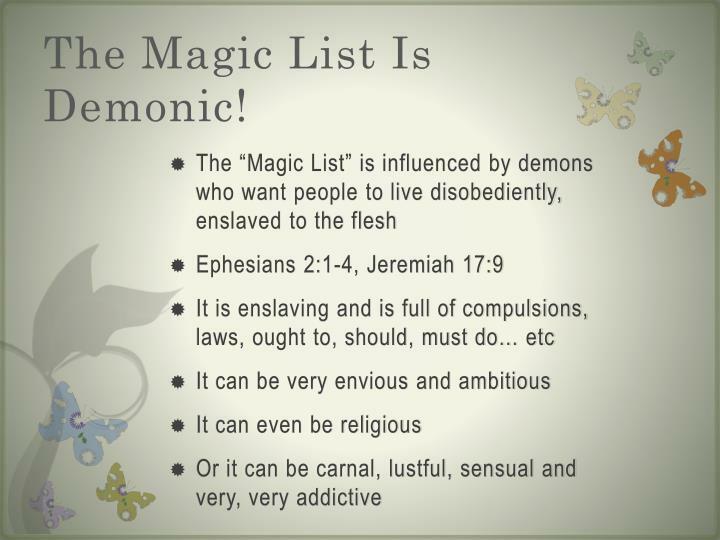 The Magic List Is Demonic! 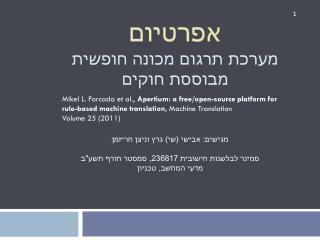 The Machine can be internal, or at the family level, business level or even be a cult, a religion or an entire culture. 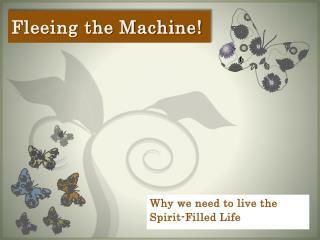 The Machine resists the Spirit! Psalms 33:10-11 The LORD frustrates the counsel of the nations; He thwarts the plans of the peoples. The counsel of the LORD stands forever, the plans of His heart from generation to generation. God messes up everyone’s plans, even those of the most powerful! 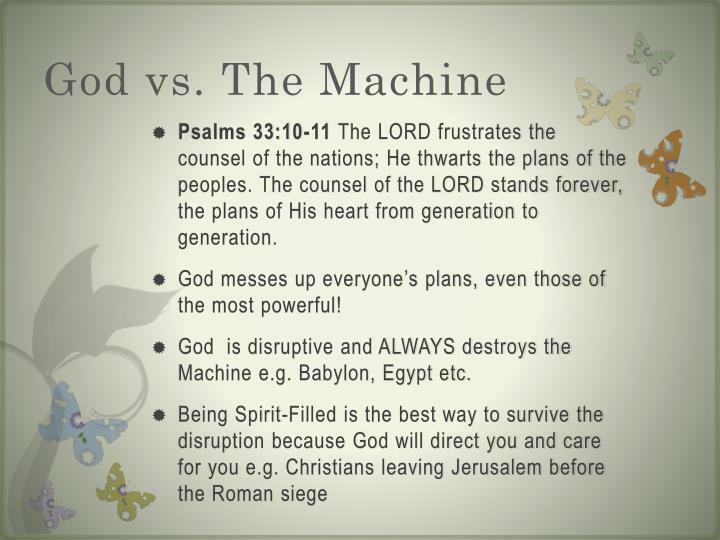 God is disruptive and ALWAYS destroys the Machine e.g. Babylon, Egypt etc. 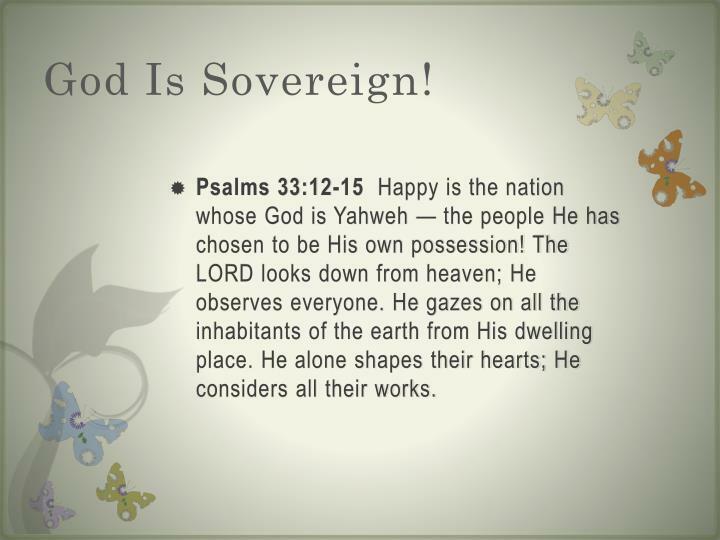 Psalms 33:12-15 Happy is the nation whose God is Yahweh — the people He has chosen to be His own possession! The LORD looks down from heaven; He observes everyone. He gazes on all the inhabitants of the earth from His dwelling place. He alone shapes their hearts; He considers all their works. 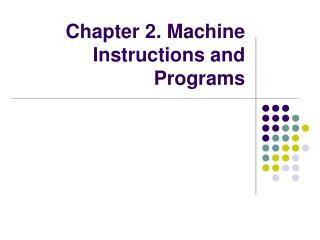 The Machine Is An Illusion! Psalms 33:16-17 A king is not saved by a large army; a warrior will not be delivered by great strength. The horse is a false hope for safety; it provides no escape by its great power. 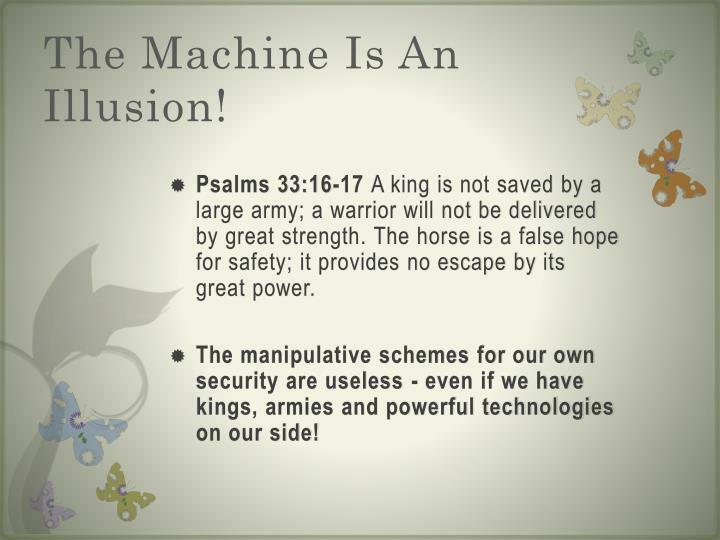 The manipulative schemes for our own security are useless - even if we have kings, armies and powerful technologies on our side! Psalms 33:18-20 Now the eye of the LORD is on those who fear Him — those who depend on His faithful love to deliver them from death and to keep them alive in famine. We wait for Yahweh; He is our help and shield. 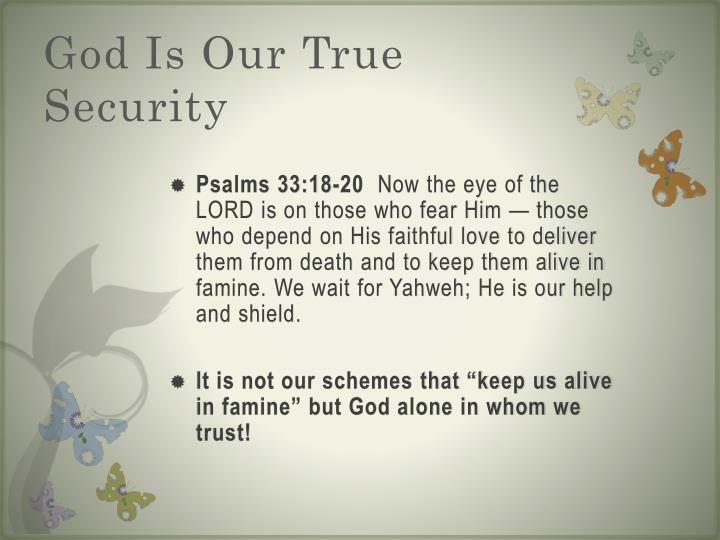 It is not our schemes that “keep us alive in famine” but God alone in whom we trust! Psalms 33:21-22 For our hearts rejoice in Him because we trust in His holy name. 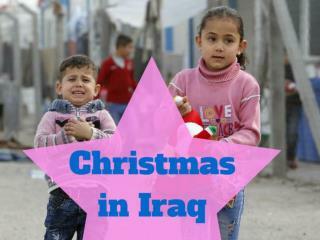 May Your faithful love rest on us, Yahweh, for we put our hope in You. 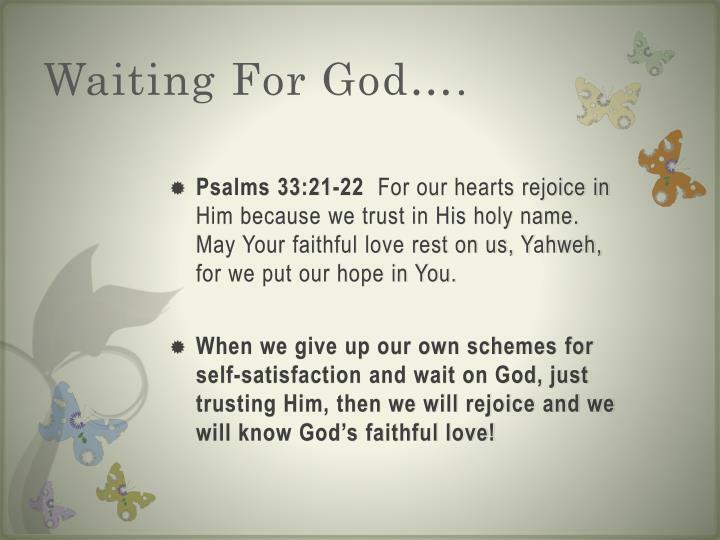 When we give up our own schemes for self-satisfaction and wait on God, just trusting Him, then we will rejoice and we will know God’s faithful love! 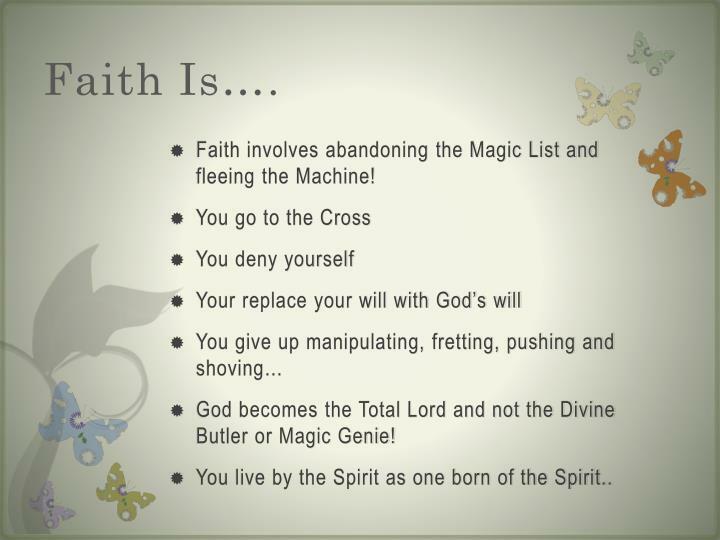 Faith involves abandoning the Magic List and fleeing the Machine! God becomes the Total Lord and not the Divine Butler or Magic Genie! 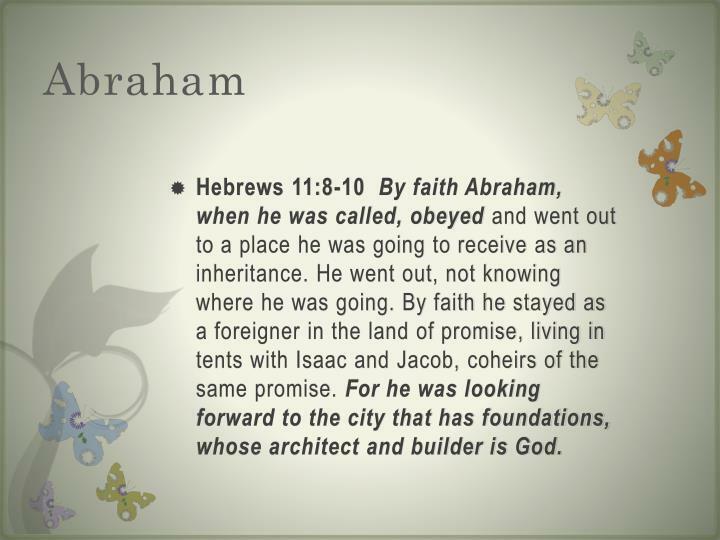 You live by the Spirit as one born of the Spirit..
Hebrews 11:8-10 By faith Abraham, when he was called, obeyed and went out to a place he was going to receive as an inheritance. He went out, not knowing where he was going. 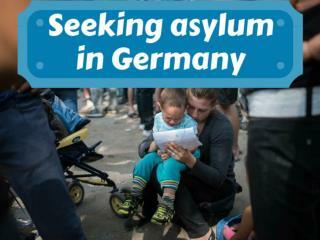 By faith he stayed as a foreigner in the land of promise, living in tents with Isaac and Jacob, coheirs of the same promise. For he was looking forward to the city that has foundations, whose architect and builder is God. Abraham was called out of the biggest Machine of the day – Ur of the Chaldees - to experience a life of faith, hope and spiritual freedom! Obeying the call frees us from the grinding dullness, anxiety and hurry of enslavement to our own or someone else’s desires. Galatians 5:16-18 I say then, walk by the Spirit and you will not carry out the desire of the flesh. 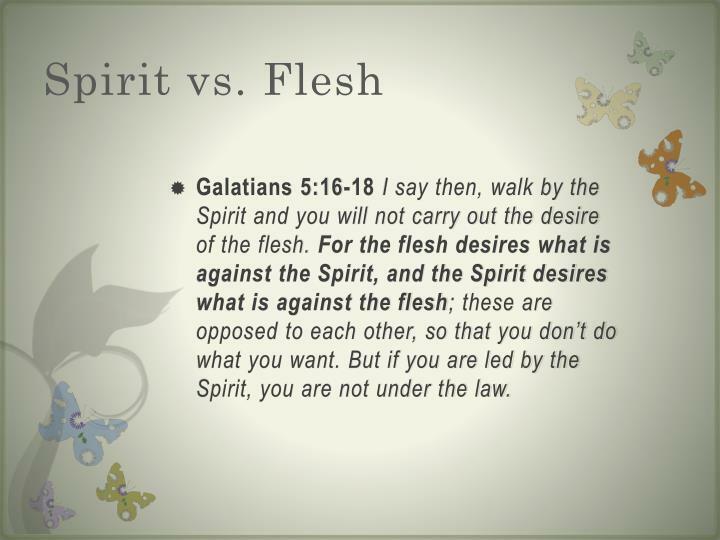 For the flesh desires what is against the Spirit, and the Spirit desires what is against the flesh; these are opposed to each other, so that you don’t do what you want. But if you are led by the Spirit, you are not under the law. 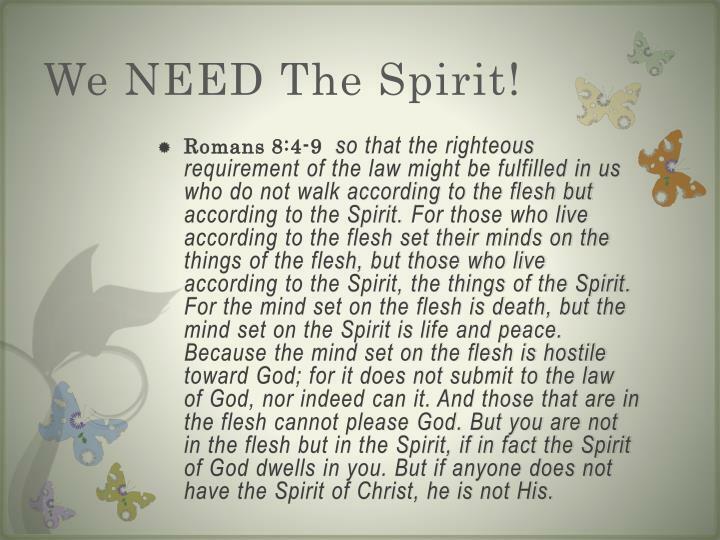 Romans 8:4-9 so that the righteous requirement of the law might be fulfilled in us who do not walk according to the flesh but according to the Spirit.For those who live according to the flesh set their minds on the things of the flesh, but those who live according to the Spirit, the things of the Spirit. 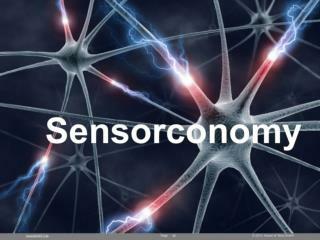 For the mind set on the flesh is death, but the mind set on the Spirit is life and peace. Because the mind set on the flesh is hostile toward God; for it does not submit to the law of God, nor indeed can it. And those that are in the flesh cannot please God. 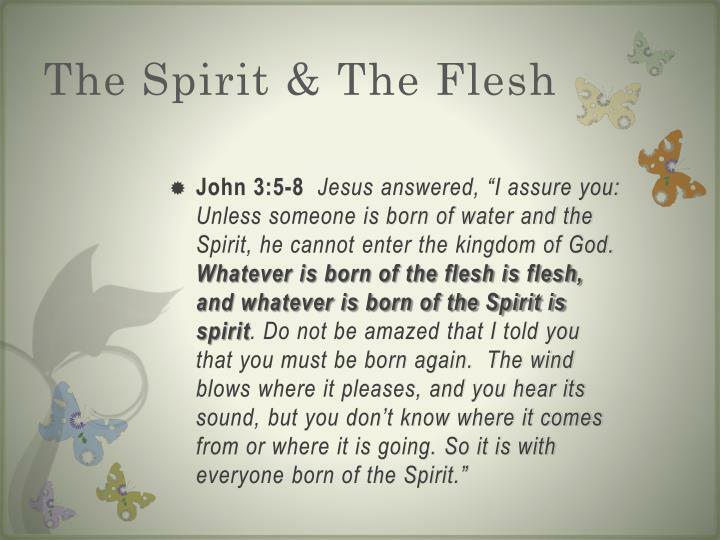 But you are not in the flesh but in the Spirit, if in fact the Spirit of God dwells in you. But if anyone does not have the Spirit of Christ, he is not His. John 14:17 He is the Spirit of truth. The world is unable to receive Him because it doesn’t see Him or know Him. But you do know Him, because He remains with you and will be in you. 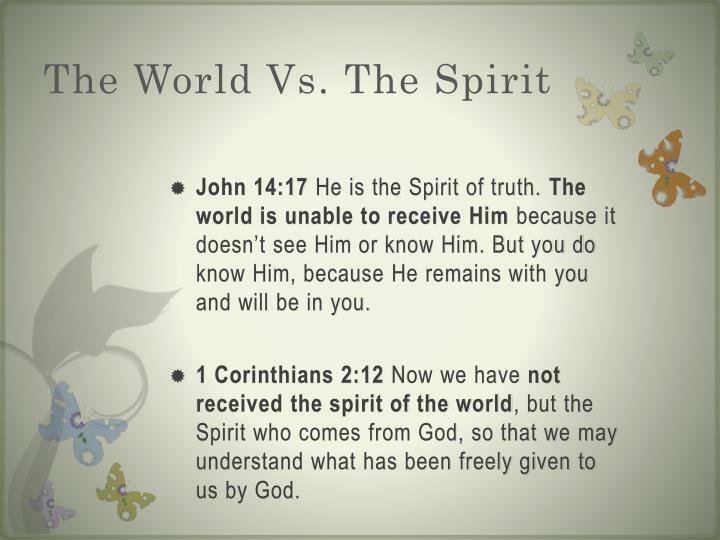 1 Corinthians 2:12 Now we have not received the spirit of the world, but the Spirit who comes from God, so that we may understand what has been freely given to us by God. Hebrews 13:12-13 Therefore Jesus also suffered outside the gate, so that He might sanctify the people by His own blood. 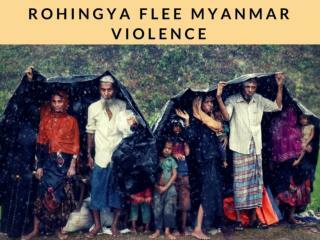 Let us then go to Him outside the camp, bearing His disgrace. 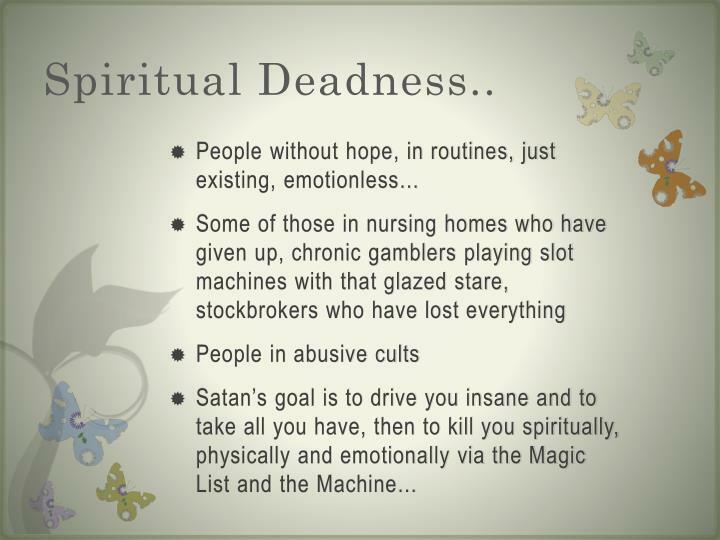 We need to flee the Machine and seek God, who may take us to some unusual places! 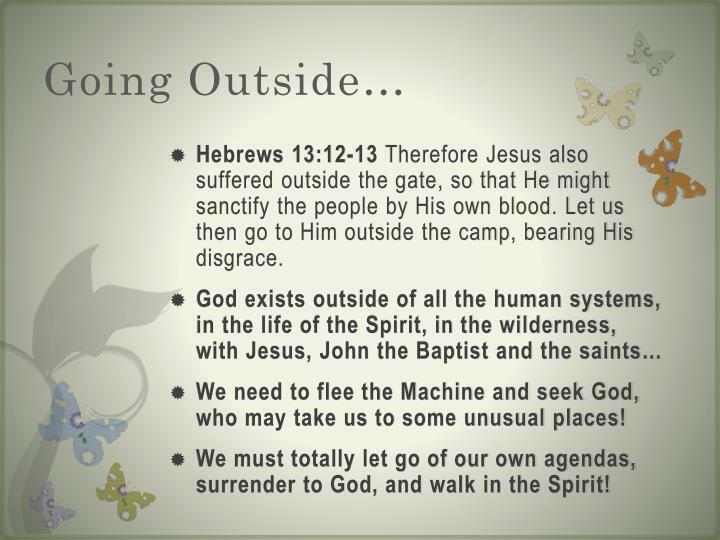 We must totally let go of our own agendas, surrender to God, and walk in the Spirit! 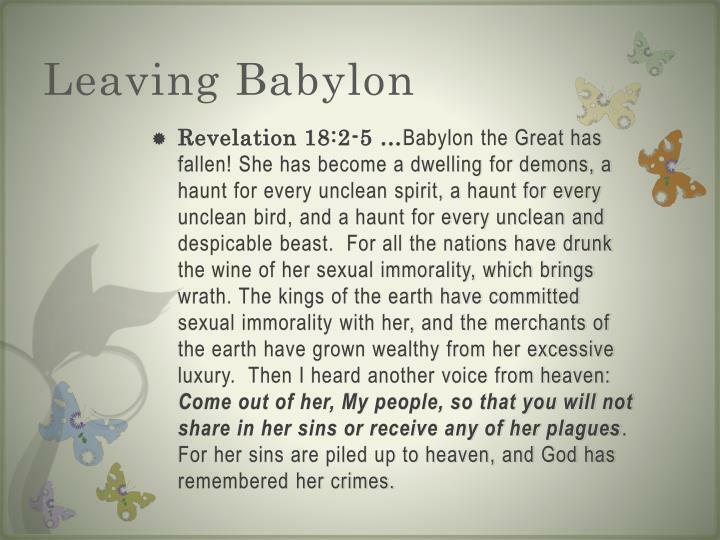 Revelation 18:2-5 …Babylon the Great has fallen! She has become a dwelling for demons, a haunt for every unclean spirit, a haunt for every unclean bird, and a haunt for every unclean and despicable beast. For all the nations have drunk the wine of her sexual immorality, which brings wrath. The kings of the earth have committed sexual immorality with her, and the merchants of the earth have grown wealthy from her excessive luxury. Then I heard another voice from heaven: Come out of her, My people, so that you will not share in her sins or receive any of her plagues. For her sins are piled up to heaven, and God has remembered her crimes. Revelation 21:6-7 And He said to me, "I am the Alpha and the Omega, the Beginning and the End. 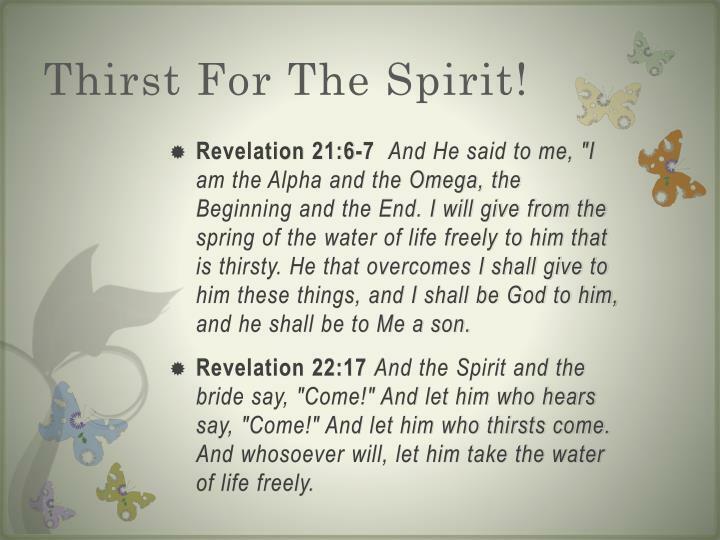 I will give from the spring of the water of life freely to him that is thirsty. He that overcomes I shall give to him these things, and I shall be God to him, and he shall be to Me a son. Revelation 22:17 And the Spirit and the bride say, "Come!" And let him who hears say, "Come!" And let him who thirsts come. And whosoever will, let him take the water of life freely. 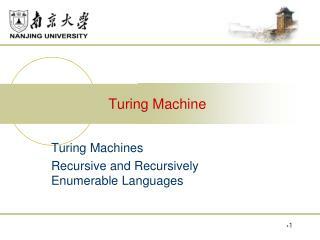 Machine consciousness and complexity -. 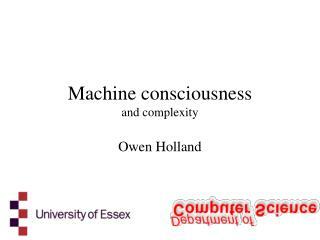 owen holland. 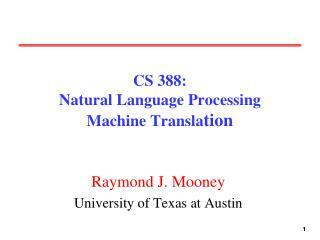 what this talk is about machine consciousness - what do i mean by it? - what am i happy for others to mean by it? 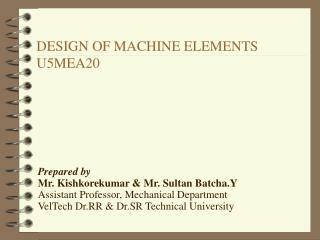 - how might we engineer it? 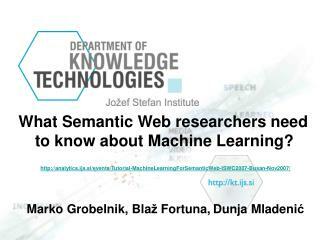 - how would we know if we’d succeeded? 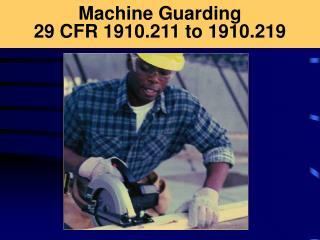 DRILLING MACHINE -. 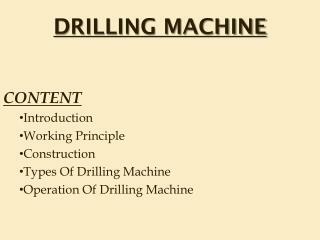 content introduction working principle construction types of drilling machine operation of drilling machine.